We collected the majority of metadata history records for Acrmed.com. Acrmed has a poor description which rather negatively influences the efficiency of search engines index and hence worsens positions of the domain. Acrmed has neither keywords, nor description at the moment. But the domain used to have both of them in February 03, 2013. Smitha Reddy, M.D. : Rheumatologist Poway, CA: Arthritis Care and Research Center Inc.
Smitha Reddy, M.D. 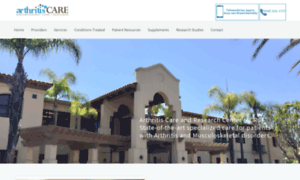 : Rheumatologist Poway, CA & La Jolla, CA: Arthritis Care and Research Center Inc. Trusted Rheumatologist serving Poway, CA & La Jolla, CA. Visit our website to book an appointment online: Arthritis Care and Research Center Inc.
Arthritis Care San Diego, Rheumatology Poway, Musculoskeletal Disorders.